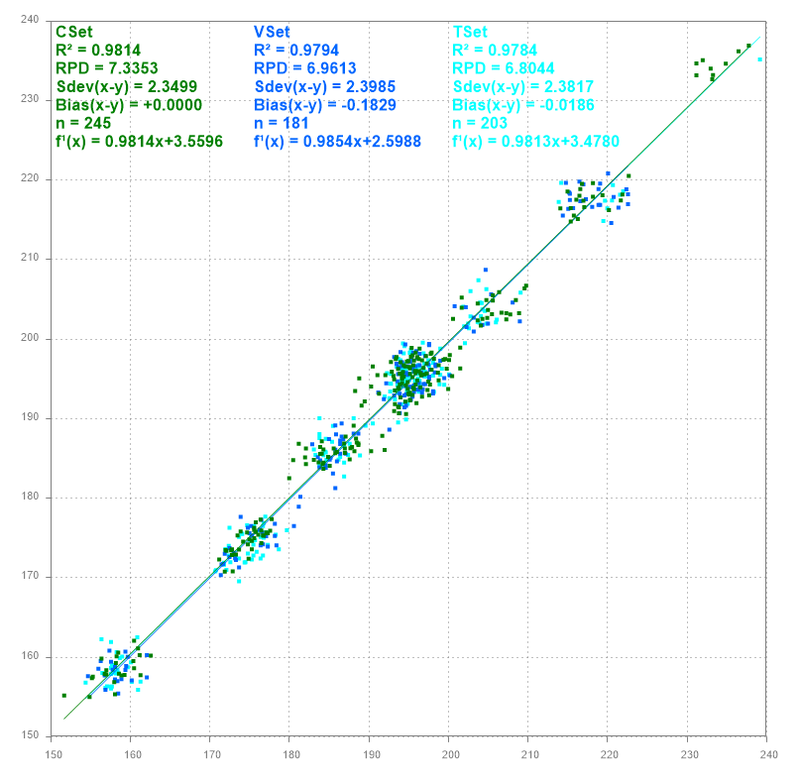 Compare the current model performance with the newly optimized NIR calibration. You want to measure your calibration talents with others, on your own data. Learn to do this if you use other improved calibration settings on your data. See what you can get more out of your data.